So I’ve started doing a few active directory audits recently and noticed that I’m repeating myself over and over again. As such I’ve decided to write as much of this up as possible in a powershell script to make my life easier. 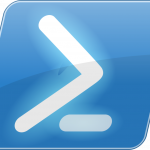 I chose powershell for two reasons; 1. I need to learn powershell, 2. I don’t want to drop an exe on a remote box. This script doesn’t do everything, there’s still stuff to add, so recommend me things! [!] Domain users can add 10 devices to the domain! [!] Bidirectyional trust with domain test.local!